Yukiko helped me get back to loving my hair. She is so talented with her tools and with her advice. I can’t thank her enough. I want my hair to get longer—it’s maybe chin length, and I was afraid of having too much cut off. But, Lacie listened and shaped my hair without sacrificing length. She identified my curl type and taught product application throughout my time at Olycurl, sending me home with written instructions exactly as advertised. The shop is spotless. Really, this is curly girl heaven. I'm always amazed after every one of my appts with Yukiko at OlyCurl! I never appreciated my curly hair, in fact longed for straight hair. Yukiko has completely changed my attitude and I appreciate the gift of curly hair. The training and classes for curly hair that she and Julia have taken set them apart from others. Each client is treated as an individual, as curls are as individual as personalities. Yukiko and Julia are able to recommend hair products that nuture and enhance one's curls. 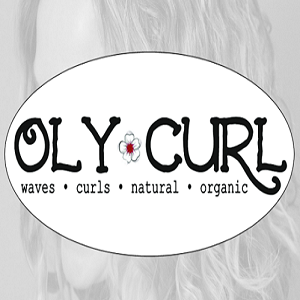 Visit their website and then give OlyCurl a call for a consultation, your curls will love you! Thank you for asking about an idea when trimming my hair. Its fun to do something different. Love having a massage afterwards! Thanks! Love the convo & the amazing neck & shoulder massage after a "cut & run", absolute best part besides getting a hair trim! Thank you, Yukiko!! Excellent job like always. Thank you ladies!